Drinking warm lemon water is very popular nowadays, but it does not use all the potential the lemon has. This way you are not using all the nutrients the lemon has to offer, such as those of the pulp and the peel. 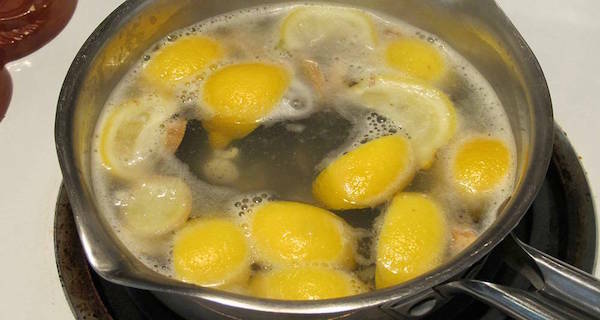 Boiling the whole lemon is better, because this way you are using the lemon juice and other nutrients the lemon has to offer as well. This elixir increases the effects of lemon water. Honey (optional). Use it if you want to sweeten your drink. Slice the lemons in half and then add them to a 20 oz. of water in a pot. Once the water boils, leave it to boil for 3 minutes. Then, turn off the heat and leave the pot to cool down for 10-15 minutes. Next, remove the lemons and the pulp from the water. Pour the hot lemon water in a tea cup and add the rest of the warm lemon water in a glass bottle for later use. What are the benefits this elixir offers? This drink is amazing for being hydrated, healthy, beautiful and happy. It boosts your mood too. The recipe is easy to prepare and only 6 lemons are enough to have 1 week of super drink in the fridge. Boiling the water once is enough, so you don’t need to boil it again. You can drink it as an ice tea. Also, you can warm it up if you prefer a warm drink.